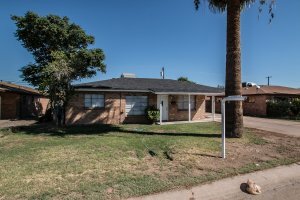 Sell Your House Fast In El Mirage! No Fees! No Commissions! No Waiting! No Hassle! We Buy Houses In El Mirage and Throughout Arizona! Do You Need To Sell Your House Fast For Cash? We Can Help. We Buy Properties Anywhere In The El Mirage Area. Check Out How Our Process Works. We’re Ready To Give You A Fair Offer For Your House. Need to sell your house fast? We are the local “We Buy Houses In El Mirage Arizona” company. If you want to sell your El Mirage home for any reason, we will make you a fair no-obligation all-cash offer. We even pay all closings costs. We purchase homes in El Mirage and the surrounding areas. Tired of waiting for someone to buy your house? Need to sell fast? Want to avoid a foreclosure? Ready to relocate? Have little equity in your home? Getting a divorce? Want to downsize? We don’t care if you live in the house, rent it to tenants, if it’s vacant, a vacation home, or in need of extensive repairs. We are here to help homeowners who are behind in their mortgages, have inherited a property they don’t want, have liens on the property, or have a fire- or water-damaged property. What we do is simple. We buy properties in any condition. We make you a fair all-cash offer and if you accept, we close when you’re ready. And we pay all closing costs. What could be easier and faster? End the frustration and hassle of owning a house you no longer want or can’t afford any more. Do You Want To Sell Your House In El Mirage? We have helped hundreds of homeowners sell their houses fast. We buy houses in El Mirage, Surprise, Sun City and all the other West Valley cities in the Greater Phoenix Area. Give us a call and find out why so many homeowners leave positive reviews on our website. Our goal is to improve Arizona communities and neighborhoods by purchasing, renovating and at times reselling houses. Most of the houses we purchase we keep as rentals. We want to have a helping hand in preserving and improving Phoenix area neighborhoods. If you have ever wondered “Who will buy my El Mirage House”, look no further. We will make you a no-obligation fair cash offer for your house in El Mirage, AZ. We will also make the process as easy and as simple as possible for you. We will even help you move if you need our help. We strive to make it a win-win situation for anything we are involved in. We believe in our community and we believe that by giving and contributing to the local communities. Our ideal property is a single family house with at least 2 bedrooms and at least 1000 square feet. We also buy condos, townhouses, small commercial properties and small to medium apartment communities. Give us a call to see how we can help you sell your home fast. Our goal is to help you sell your home with as little hassle as possible so you can get own with your life. Get started right now by filling out the short and simple form below. We will buy your house in any condition. You have nothing at all to lose. Use the form below to give us a little information about your property. You can also call us at 602-833-7812. Phoenix Home Buyers Group buys properties throughout Arizona. We help property owners who want to sell fast and get an all-cash offer. Contact us now. We will give you a fair no-obligation all-cash offer to buy your home as is. What have you got to lose by contacting us?